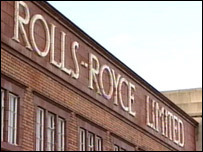 Rolls-Royce is to close its original factory in Derby - 100 years after it was opened. The main works on Nightingale Road will close its doors on Monday but the main bulk of the workforce has already moved to a new base in Sinfin. The Nightingale Road site initially focused on motoring but played a major role in Britain's wartime efforts, producing the Merlin aircraft engines. The firm currently employs more than 10,300 people in the city. Richard Edwards of Rolls-Royce said: "This was probably the cutting edge of technology in 1908 when it first opened but times move on and so does technology. "It's had its day like an old car I suppose. It's not going to pass it's MOT anymore." The city council said it was considering a number of options for the 22-acre site, which include community and educational facilities.